Fyodor Dostoevsky's The Brothers Karamazov is unquestionably one of the greatest works of world literature. With its dramatic portrayal of a Russian family in crisis and its intense investigation into the essential questions of human existence, the novel has had a major impact on writers and thinkers across a broad range of disciplines, from psychology to religious and political philosophy. This proposed reader's guide has two major goals: to help the reader understand the place of Dostoevsky's novel in Russian and world literature, and to illuminate the writer's compelling and complex artistic vision. 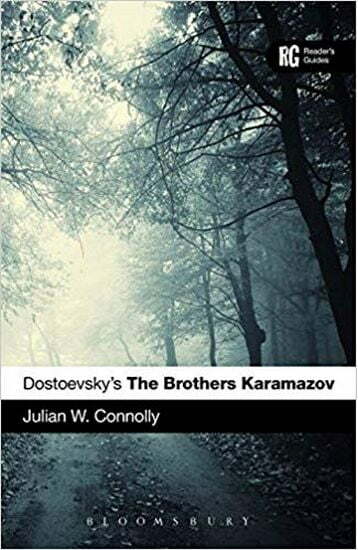 The plot of the novel centers on the murder of the patriarch of the Karamazov family and the subsequent attempt to discover which of the brothers bears responsibility for the murder, but Dostoevsky's ultimate interests are far more thought-provoking. Haunted by the question of God's existence, Dostoevsky uses the character of Ivan Karamazov to ask what kind of God would create a world in which innocent children have to suffer, and he hoped that his entire novel would provide the answer. The design of Dostoevsky's work, in which one character poses questions that other characters must try to answer, provides a stimulating basis for reader engagement. Having taught university courses on Dostoevsky's work for over twenty years, Julian W. Connolly draws upon modern and traditional approaches to the novel to produce a reader's guide that stimulate the reader's interest and provides a springboard for further reflection and study.